MultiQuip Essick Whiteman Stow Mortar Stucco Mixers parts WM45E WM45H EM70 EM90 EM120 EM120SM WM63H WM63H5 WM63H8 WM70S WM70P WM90S WM90P WM120PH WM120SH WM120PM WM120SM MA15H MS45H MS63H MS70H MS93H MS120H Mixers parts.You can order parts online by clicking on the category link below with Model information. You will be able look up the parts and click on them to add to your cart. If you do not find the parts that you are needing; please fill out this parts request form with your model and serial number and detailed information at this link click here. 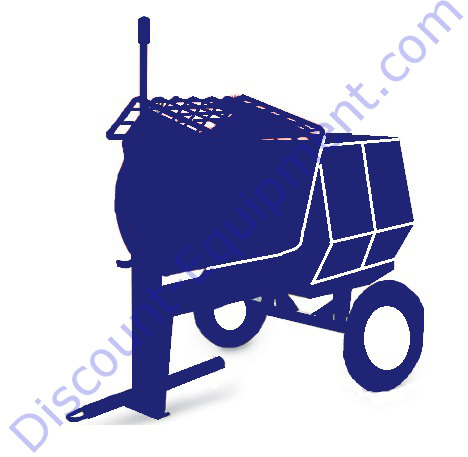 If you do not have the model and serial information you can send photos to info@discount-equipment.com. The ultimate in heavy-duty mortar mixers. Multiquip's durable mixers are reliable, easy to maintain, and available in a full range of sizes and engine configurations.